About Andertons - Jobs at Andertons Music Co.
To some of our customers Andertons is a big music shop in Guildford. To others it’s where they buy all their gear online, and to others it’s a YouTube channel they watch every day. The truth is there is a lot of facets to Andertons. At heart we’re a music instrument retailer – we’ve had a shop in Guildford for over 50 years – but we’re also one of the fastest growing e-commerce businesses in the UK. We’ve won awards for retail, e-commerce, social media and video marketing. Whatever your experience of Andertons is, it’s not going to be quite the same as the next person’s! The musical gear we sell ranges from quality beginner instruments through to everything a band needs to perform and record: guitars, amps, drums, pianos, keyboards, synthesizers, recording equipment, PA systems, music accessories, and more, and comes from the leading brands too, from industry giants Fender, Gibson and Ibanez, through to boutique companies making incredible pedals in tiny runs. We’ve got it all! 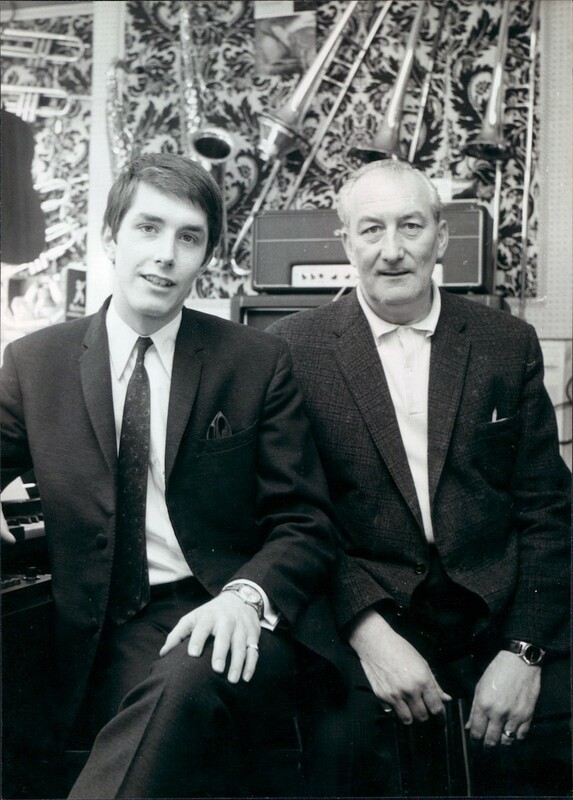 Harry (Father) and Peter (Son) Anderton first opened the doors of Andertons Music Co. in 1964. The 60s were a big boom for the music industry – 1964 was the same year the Beatles marked their invasion of America by appearing on the Ed Sullivan Show – and then, like now, Andertons catered for a wide range of musicians. That first day in an old greengrocer’s, a 17 year old Peter Anderton took just 9p and could hardly have imagined the multi-million pound retailer with over a 100 employees that exists today! Andertons were one of the first music shops to embrace the internet, and in 2001 first launched a website that people could buy gear from. We were also one of the first to embrace social media and YouTube, because they allowed us to bring a personality to our web presence. Now we’re winning awards for all three including the coveted YouTube Silver Play Button which marks 100k subscribers (at time of writing we’ve already quadrupled that to over 400k subscribers!) and over 70k follow our Boss on Facebook! Not many shops can say that! We take our place at the heart of the UK music industry seriously. We’re long-standing supporters of Music for All, the charity that helps get musical instruments into the hands of underprivileged children all over the UK. We love National Learn to Play Day and work closely with the ACM (it’s just around the corner!) to make sure that we’re doing everything we can to encourage and stimulate grass roots music making! We also work extremely closely with our suppliers meaning we get the best deals on gear, the biggest names in the industry at our masterclasses and the best long-term career opportunities for our staff! Andertons staff have gone on to work just about everywhere in the industry from top brand names like Fender, to recording studios, music tech start ups and even touring with the likes of James Bay!